Zevrix Solutions announces Output Factory Server 2.0.14, a maintenance update to company’s output workflow automation solution for Adobe InDesign. Output Factory automates printing and exporting from InDesign by processing files from hot folders. The app can serve unlimited users and offers layer versioning, preflighting, FTP delivery and more. The new version introduces background processing, improves file queue management, and fixes an issue related to exporting InDesign spreads as TIFF files. Toronto (ON), Canada — Zevrix Solutions today announces the release of Output Factory Server 2.0.14, a maintenance update to company’s output automation tool for Adobe InDesign. Developed originally for a major magazine publisher in the United States to free up their operator computers from outputting InDesign files, the software automates InDesign workflow by processing files from watched hot folders. -Output Factory Server now performs most of its operations in the background, which fixes the issue of unresponsive UI during processing on macOS High Sierra. -Users can now click the Stop button to abort hot folder watching and remove any pending files from the queue without interrupting the current InDesign file processing. -Users can now insert specific text from InDesign layout in the variable names of output files in combination with layer versioning. -Fixed an issue in which some advanced file naming options could not be used in combination with layer versioning. -Fixed an issue in which blank files could be created when exporting InDesign spreads as TIFF on a network volume. Output Factory Server can be purchased from Zevrix web site for US$699.95, as well as from authorized resellers. Trial is also available for download. The upgrade to version 2 is $350 for the licensed users of Output Factory Server 1.x and BatchOutput Server. Output Factory Server requires macOS 10.7-10.13 and Adobe InDesign CS5-CC 2018. 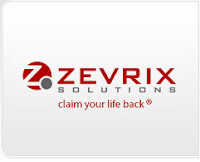 Located in Toronto, Canada, Zevrix Solutions provides productivity solutions for Adobe Creative Suite software, PDF workflows, graphic file diagnostics, file delivery and Microsoft Office on Mac OS. Zevrix is dedicated to help professionals increase their profits through automating everyday tasks, producing error-free documents, saving disk space and cutting production costs. For more information, visit http://www.zevrix.com.